Braska Barista was in foster care about 2 days when Michele told me she was already HOME! Michele, (Dan, Gabrialle and Davis-not pictured) all fell in love with her, I think OZZY did too. 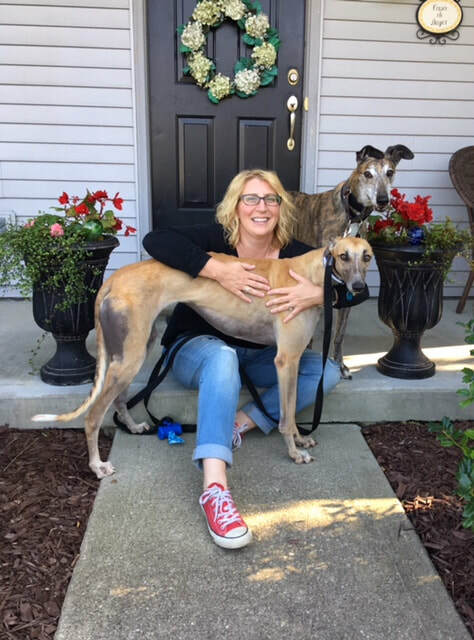 Michele has fostered over 20 for GAGC for many years and loves the breed like so many of us do. I think this little girl knew she wanted to stay and turned on the charm. Shall we call it another foster fail!!! Barista now called Scarlet is a very lucky girl to be HOME in Fairfield with such a loving family!